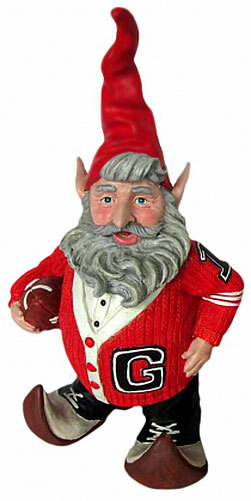 Some gnomes will talk about their football days forever, including our Letterman Jock Gnome! Red hat with his matching Letterman Sweater, and his favorite pigskin under his arm, finally a classic football gnome everyone can enjoy! Amazing detail on this Football Gnome, and perfect gift for any football fan. Awesome for the Superbowl party, and all year long!